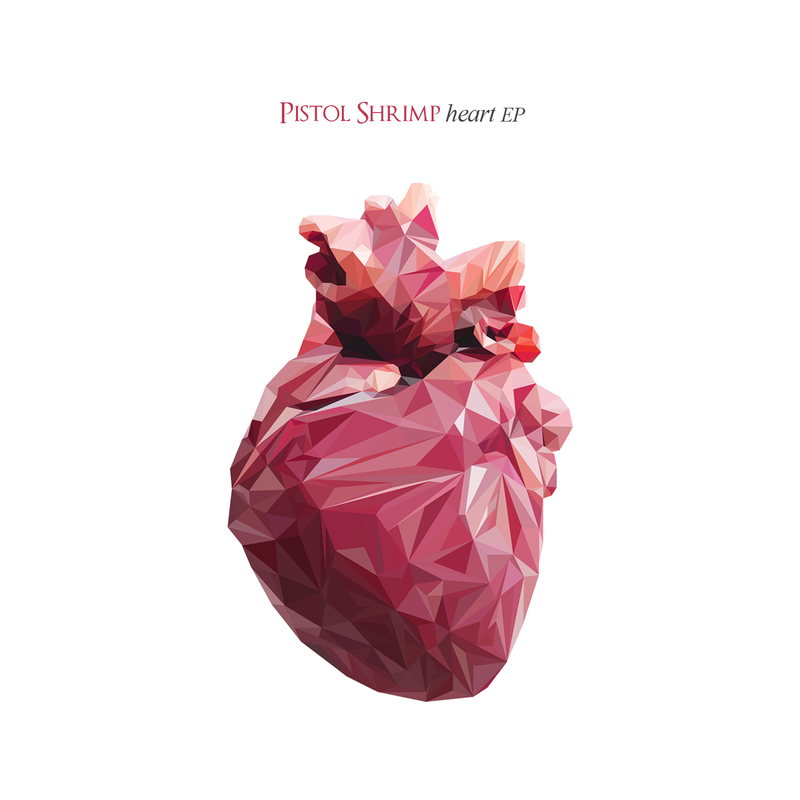 Pistol Shrimp is an electro pop duo formed of UK-based electronic musician David Burreddu and US-based singer/songwriter Aaron Peterson. The project was created by UK based 23 year old self-taught producer David Burreddu in 2011, when he began making music during a mid-term break at University and spontaneously downloaded a music production program. The beginning of 2013 saw Pistol Shrimp solidify their sound, when Burreddu teamed up with US vocalist Aaron Peterson and created songs such as ‘Moonshine’, ‘Beyond Reach’ and ‘Between Us’. After a few collaborations Burreddu asked Peterson to join Pistol Shrimp and become a duo. Their sound varies from colourful indie pop, built up of catchy analog synthesiser leads, rich baselines and infectious vocals hooks, to epic synth filled ballads with hard hitting drums, beautiful pads and layered vocals soaked in reverb. The eight-track ‘Heart EP’ is the UK/US electro pop duo’s debut EP and includes four exclusive remixes. The record celebrates the team’s signature sound of catchy indie-pop infused with infectious vocals, with themes revolving around being young, free, and in love. The title track sets the tone for the EP with its strong summer vibes and textured pop vocals; perfect for your listening pleasure this Summer.